Anyone who says motorcycles are for men can eat your exhaust! Women have been riding motorcycles since the early 1900s. Now more and more of us are finding the power and freedom of our own bikes. 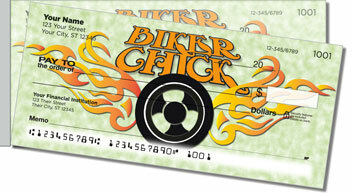 From the first time you cruised out on the open road, you were hooked and decided the back of the bike wasn't for you. 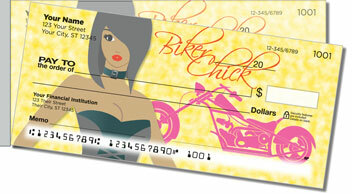 Even celebrities from Joan Jett and Courtney Cox to Angelina Jolie and Queen Latifah are fans of motorcycles. 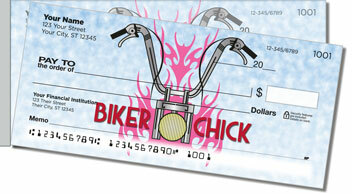 These checks feature fun illustrations, a splash of femininity and of course - sweet bikes. 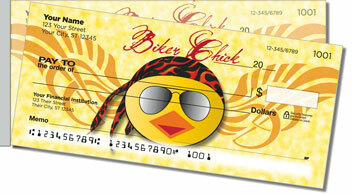 Get your own Biker Chick Side Tear Checks today! 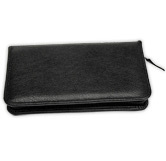 You can also order matching address labels and get free shipping.